This project opened on 2nd April 2018 and is planned to grow in 3 stages. The aim is to encourage self-help in every way possible – individually and collectively. The concept is simple. People (especially in the poorest communities) have problems of every kind and very often do not know how to deal with them. The Hub will start as an information center/ advice bureau. It will develop two databases. a database of needs and resources available or required by the community. 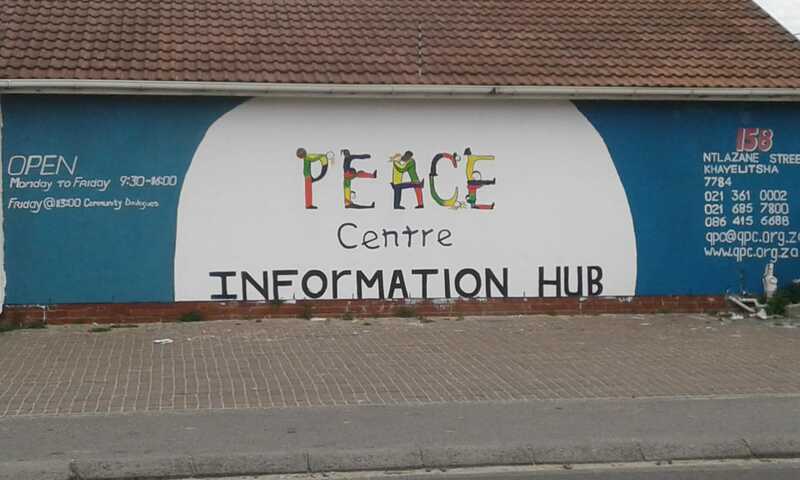 The hub, centrally situated in Khayelitsha, has a project manager, a database operator, and community assistance. Staff and contractors are drawn from the community. Their job is to circulate in the township, advertise the hub-service, find those individuals and communities with problems and guide them to the hub. The hub will not offer solutions but, using the databases, will be able to guide the applicant to those who can provide it. Computers are available for those who can use them, for example, for job hunting, information gathering and CV preparation. Stage 1: Spreading throughout the township in stages the hub will eventually serve the whole of Khayelitsha and the successful hub model will translate to any township. Stage 2: The second stage adds communities. Communities are any organized body e.g. schools, sports clubs, churches etc. The hub will help them identify their communal needs and their collective resources and will then help to link them up. An obvious need in the High Schools is for career guidance. Stage 3 The third stage adds training in a range of Peace and anti-violence topics. These include understanding and using, the Constitution, Restorative Justice, Parenting support, Safe schools as others as needs are identified. Also, AVP (Alternatives to Violence Project) whose workshops will run in Pollsmoor Prison and in Khayelitsha where the focus is ex-prisoner re-integration.